The Planetouched are mortals whose ancestors were extraplanar creatures, typically two to three generations removed. The progeny of a mortal and an outsider would be a half-outsider, while their progeny would be a planetouched. The Planetouched retain only vestiges of their extraplanar characteristics, but have strong affinities to the embodiment of their ancestral planes. All these races will require an application. Due to their otherworldly nature, Planetouched are rarely fully accepted in society. For good or ill, they will usually receive special treatment due to their abnormal characteristics. 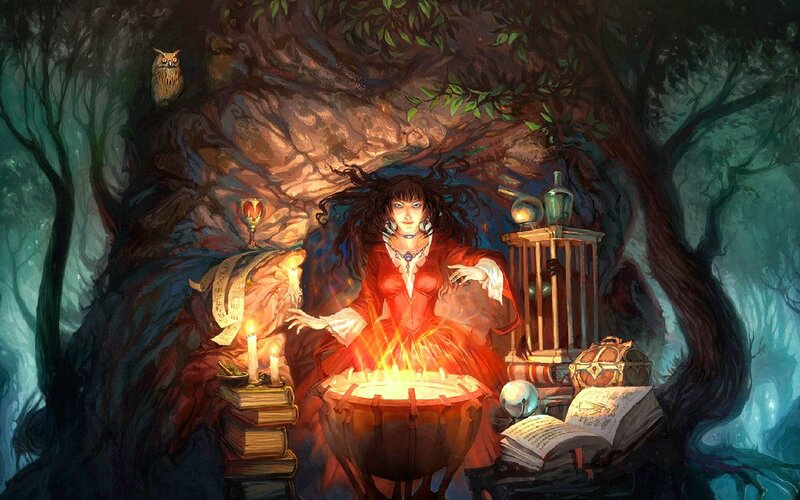 Players are expected to incorporate both this and their natural affinities to their ancestral plane in the PC's concept and outlook, which in turn would affect the character's goals in life. The aasimar bear the legacy of a celestial being or even a deity in their ancestry, and have incredible potential to do good in the world. At the same time, their heritage marks them as different and often leads to persecution, ridicule, or exile from superstitious or backward communities. It is not unknown for an aasimar to give in to bitterness in the face of adversity and turn to evil. Aasimar are the descendants of humans and some good outsider, such as a true celestial, a celestial creature, couatl, lillend, or even a servant or avatar of a good deity. (Some of these creatures must use magic to assume a form that is compatible with a human mate, of course.) While elves, dwarves, gnomes, and halflings with good outsider ancestry are reputed to exist, those crossbreeds are not true aasimar. Aasimar understand that they are special, even if they do not understand their true heritage. Many aasimar from a latent bloodline don't even know what creature engendered the line in the first place. Two aasimar from the same bloodline often have the same distinguishing feature. Aasimar have the same life expectancy and age categories as a human. Most aasimar in Faerûn are derived from the deities of Mulhorand. When the mortal incarnations of the Mulhorandi pantheon defeated the Imaskari, they settled and took mortals as lovers and spouses. The half-celestial offspring of these unions became nobles of that country, and dilution of the divine essence through marriages to pureblooded humans created aasimar. Many of these aasimar left the country in search of a destiny not tied to their grandparents, and so the lands around Mulhorand have more aasimar than any other area. Most aasimar are wary of their human neighbors. Even those raised by parents who understand their heritage cannot escape the stares of other children and adults, for humans fear that which is different. Aasimar usually experience a great deal of prejudice, which is all the more painful to the goodinclined aasimar who truly wants to help others survive in a hostile world. Aasimar are often seen as aloof, when in many cases this is a protective measure born of years of misunderstandings. Aasimar often look upon true celestials and other good outsiders with a mixed envy and respect. The lucky ones receive occasional guidance and advice from their celestial ancestor, and these aasimar are more likely to exemplify the stereotypical celestial virtues. Because an aasimar's favored class is paladin, a majority of them follow that path, at least for a time. The philosophy of the paladin class resonates in the aasimars' hearts, and they are innately suited for a career championing law and good. Some aasimar, particularly those descended from a nonlawful outsider, instead become clerics, since they are naturally wiser and more charismatic than most humans. Even aasimar who don't become divine spellcasters gravitate toward divine-related classes such as the divine champion, for the call of the light is very strong. Not all aasimar live up to their potential. 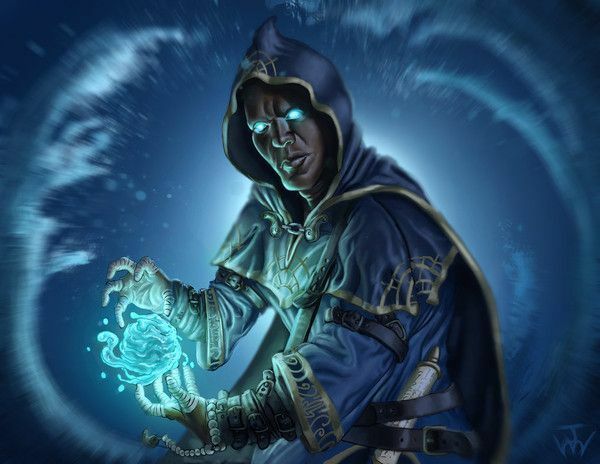 An aasimar blackguard or sorcerer of evil is a terrible opponent, and deities such as Shar and Set love to corrupt an aasimar, turning her into a bitter, angry creature nursing old grudges from unjust persecution. Because they feel the pull of deific power so keenly, aasimar are often clerics or paladins. Some aasimar bring their otherworldly sensibilities to the art of music, becoming accomplished bards. Rarer still are aasimar who fall in love with Faerûn's deep wilderness, becoming druids and rangers. Aasimar rarely have siblings who are other aasimar, for the heredity of the supernatural is a chancy thing. Because of this, few aasimar get to know another of their kind. On the rare times they encounter another aasimar, there is a sort of unspoken understanding between them, and an aasimar is likely to take another aasimar's side in an argument, regardless of other affiliations, just for a taste of kinship. Aasimar, being more rare than even half-elves, have no true society of their own. Few have the opportunity to meet other aasimar or celestial beings, so they attempt to blend into the culture of their parents. If they had such a thing, aasimar would have a lawful good or neutral good society, focusing on charitable works, helping the needy, and campaigning to eradicate evil. In a few rare places, aasimar can find true acceptance and search for news of other aasimar born in other lands, hoping to make arrangements to have the child brought to the sanctuary and raised in an environment where he or she is cherished, not considered strange. 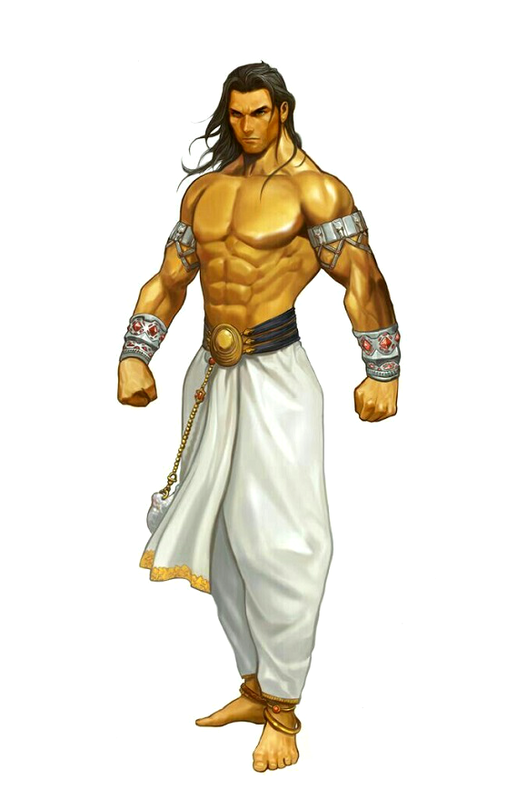 Aasimar have no common racial deity but often worshp whatever deity their supernatural ancestor servers (or that being itself, if the ancestor is a deity). Because most aasimar in Faerûn are desceded from Mulhorandi powers, a large number of them serve those gods. An aasimar born outside the Old Empores, or whose travels have taken her far from those lands, might take a like-minded patron appropriate to her new country. Because several Mulhorandi deities are portrayed with animal heads or have strong ties to certain animals, aasimar descended from these deities or their supernatural agents often have an affinity for that sort of animal, and sometimes have a faint resemblance to a creature of that type. Although aasimar are mostly human, they rarely feel like they fit in among human society. Instead, they get along best with other halfbreeds - namely, half-elves and half-orcs - because they and aasimar usually share the same sort of semi-outcast blackground. Dwarves, elves, gnomes, and halflings are neither embraced nor shunned by aasimar, for while these races have no history of persecuting the planetouched, they don't have a reputation for sheltering them either. Genasi of all tupes are too alien compared to an aasimar to elicit sympathy or a sense of kindship. Tieflings are the one race that garners the most suspicion from an aasimar, for those touched by the holy understands its calling and therefore can guess what sort of temptation those with unholy blood must hear. Carrying the taint of evil in their very souls, tiefling are persecuted and feared in most parts of Faerun. Those with gross physical alterations are often killed at birth, and even those with less noticeable physical traits are sometimes killed by their own horrified parents. Occasionally, a tiefling is born to someone indifferent to its appearance, determined to redeem it, willing to exploit it, or evil enough to not care about its nature, and these tieflings are most likely to survive to adulthood. Most tieflings are evil, but a few have managed to overcome their bloodline's influence to make their own choices about good and evil. Tieflings are the distant descendants of a human and some evil outsider, such as a demon (usually a marilith or succubus), devil (usually an erinyes, gelugon, or pit fiend), night hag, rakshasa, or even a servant of an evil deity (some of these creatures must use magic to assume a form that is compatible with a human mate, of course). Fiend-touched and similarly tainted mixes of elves (notably the fey'ri) orcs (such as tanarukk), and other races are known, but those are distinct lines and are not true tieflings. Tieflings are aware at an early age that they are different from the people around them, and often have strange urges, desires, or needs because of their evil heritage. Because tieflings are born of different creatures, it is difficult to tell if any two of them are related, and because many of them come from demonic bloodlines, even two tieflings descended from similar demons or the very same demon might look very different. Tieflings have the same life expectancy and age categories as a human. Most Faerunian tieflings come from bloodlines originating in Mulhorand and Thay. The Mulhorand tieflings are descended from servants or manifestations of Set or Sebek, while those from Thay are usually the result of dalliances with fiends of all kinds. As with the aasimar from Mulhorand, many tieflings from that ancient land leave the region to seek their own destiny without outside interference. Thayan tieflings are usually the grandchildren of powerful wizards, birthed as part of some power scheme, and usually spend their lives as slaves or pawns to both sides of the family (although Nevron, the zulkir of Conjuration, is rumored to be a tiefling). In either case, tieflings from these two regions usually resemble the human race of their parents, with their inhuman traits making them stand out from other Thayans or Mulhorandi. 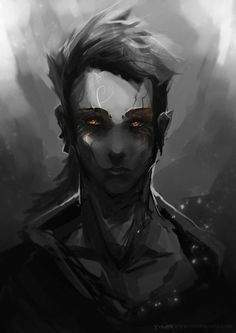 Unther is reputed to have a tiefling population comparable to Mulhorand, but in truth this is a misconception, for the evil and mad god-king Gilgeam sired no children for fear of creating something that might usurp his throne. 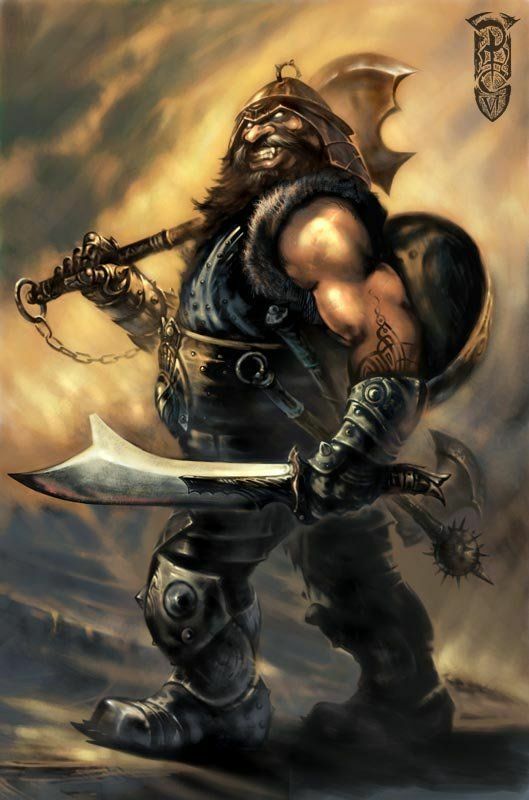 However, Nergal (the Untheric god of underworld) is thought to have fathered at least one child before he was slain during the Orcgate Wars over two thousand years ago, and it is possible that some Untheric men and women still carry that evil deity's bloodline. The mages of Unther may also be responsible for some devil-spawned tiefling as well. It is often whispered that the survivors of the Nar Empire carried demonic blood and tieflings are incredibly common in this region of the Realms. Tieflings live as outcasts. Feared for their evil heritage and often acting appropriately to their ancestry, they learn to keep people at a distance and hide that which makes them different. Like all the planetouched, they are different from their own parents; rarely has a tiefling been raised in a home filled with love. Tieflings are bitter folk who expect eventual rejection from even their best friends and easily fall into lives of crime, depravity, and cruelty. Tieflings look upon true fiends and other evil outsiders with envy and fear. Some tieflings reject their tainted blood and seek the light. Not many succeed for long, and far more slide to a comfortable place midway between evil and good. But of the creatures who work to be good, good-aligned tieflings probably work the hardest. Many tieflings multiclass between rogue and another class; even the most skilled tiefling wizard might have a knack for tumbling, opening locks, or sneaking about. A tiefling is versatile enough to be just about anything, although they make poor sorcerers. Because of the varied circumstances of their births, most tieflings become adults without knowing another of their kind. Given their scattered heritage and tendency toward evil, tieflings mistrust each other, while at the same time wanting another of their kind near to experience a limited kinship. Therefore it is not unusual to find a small group of like-minded tieflings at the head of a thieves' guild. Sometimes a good tiefling will search out others of her kind in the hopes of rescuing them from evil or persecution, but most tieflings are so used to looking out only for themselves that such a thought never occurs to them. Thay is unusual because of its numbers of tiefling slaves. An unknown number of fiendish bloodlines exist in Thay, some of them lost for generations. When a true tiefling arises from latent bloodline, there is often a scramble as the Red Wizards struggle to collect the planetouched offspring. Some Red Wizards train these young tieflings with others of their kind, either to work as spies in other households, personal assassins, or as some sort of sacrifice to an evil being. These tieflings can develop a sense of community among their fellows. If they are lucky, they may manage to escape their evil masters, scattering to the four winds to elude pursuit. Some of these slaves start revolts to cover their tracks, others return to kill their former owners, and still others leave and never look back. In this way, certain tieflings have extended families, although how to find their adopted siblings usually poses a problem. 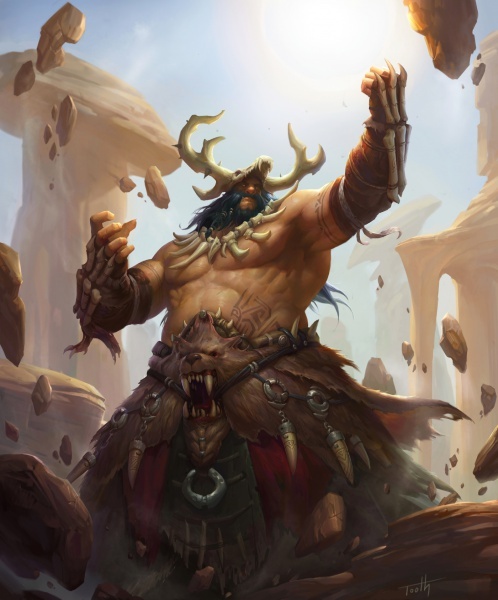 Tieflings have no common racial deity, but sometimes worship powerful demons, devils, or whatever divine being their ancestor serves (or that being itself, if the ancestor is a deity). A tiefling born outside the Old Empires or Thay, or one whose travels have taken her far from those lands, usually takes a like-minded patron appropriate to her new country. The following deities are the most common patrons of evil tieflings but are certainly not the only ones. Beshaba, the Maid of Misfortune, appeals to a number of tieflings. This wicked and beautiful goddess has created a few tiefling bloodlines over the ages, many of which have white hair and manifested antlers instead of other kind of horns. Tieflings who worship Beshaba do so because they believe they are unlucky to have been born as what they are and seek to pass this misfortune on to others. While Cyric has not fathered any tiefling bloodlines since his apotheosis, tiefling assassins, illusionists, and those drawn to conflict and aggression because of their heritage often worship Cyric. Gargauth, the god of corruption, betrayal, and cruelty, has been known to disguise himself as a helpful stranger, befriend a good woman in difficult circumstances, and leave her just before she gives birth to their half-breed child. These children of evil emulate their father's practices, and so the bloodline of Gargauth has many scions in Faerun. He is worshiped by tieflings looking to destroy a hated rival (possibly a good-aligned temple that harassed them as a youth) or those looking to gain power very quickly. 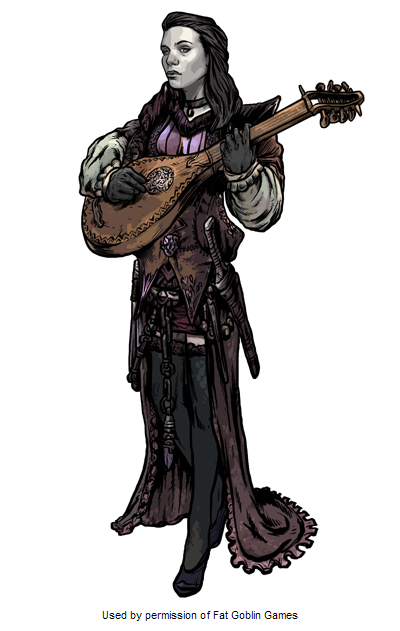 As many tieflings naturally gravitate toward the arts of the rogue, a number of them have taken Mask for their patron. Only one Maskarran tiefling bloodline is known, a line from Thesk noted for never casting reflections, but Mask's secretive nature means that others could be almost anywhere. Mask is worshiped by tieflings thieves or those who must do their work concealed by shadows. Shar is not known to have any planetouched offspring, but she draws the worship of those who wish to forget their old pains and hurts. She particularly enjoys pitting her tiefling worshipers against the aasimar servants of Selune. Tieflings treat most other races equally; at arms's length. They are very slow to trust others and always wary of a friend suddenly becoming an enemy. Aasimar often trigger an instinctive fear or revulsion in tieflings, making it difficult for them to work together at all. Half-orcs are the only race tieflings easily tolerate, since they are the only common mixed-breed race that is derided as much as tiefling. Still, a tiefling isn't more likely to trust a half-orcs; Just more likely to understand his perspective. The Feytouched are generally several steps down from Half-Fey (which are the offspring of a human or giant crossbred with a Fey) and another human or giant (therefore, Feytouched are quarter-Fey although they may be even less than that). The fey are known for their curiosity (some would say obsession) with humanoids and giants, and sometimes a fey falls in love with one of these creatures. A resulting offspring of a Fey and a human or giant is a Half-Fey. If such a Half-Fey mates again with another human or giant, the offspring is a fey-touched. Feytouched rarely think of combat as something serious. They enjoy toying with their opponent, but can become truly enraged when things turn against them. They are usually baffling and erratic in combat. 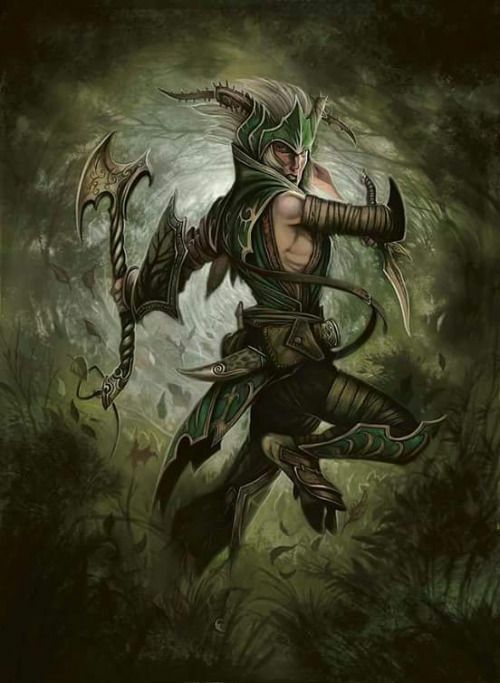 However, the fey are widely varied and for every fey who fits into this stereotype is another who shatters it and is serious, reserved, even deadly in combat. Jinxes are small creatures that resemble gnomes. They always smile, regardless of their actual mood. Thier grins suggest something dangerously comical in the works, as if they are alone in the know. Inside their wide mouths are rows of sharply pointed teeth. their eyes are black and souless. Jinxes are the same size and weight as gnomes, and they live just as long. Jinxes are often nuetral evil. Jinxes are smart and tough, but they are physically weak. They rarely excersise caution in their ribaldry. Jinxes are corrupted descendants of gnomes and fiends. Thouroughly evil, they mix their gnomish penchant for tricks and practical jokes with a sadistic twist. All of their jests are sharp, painful, and severely lethal. Some jinxes sabotage machinery, equipment, and anything else potentially harmful to others. Mean spirited and nasty, they are pleasure seekers. Jinxes do what they can to blend in with gnome society, at worst, dwelling on the fringes. Unless the gnomes truly force them out, they remain for their lives tormenting their kin with horrible tricks that have far reaching consequences. Some jinxes leave, or are forced to leave thier homes to seek out adventure. The characters are normally thugs, thieves, and tomb robbers. Cansin are descended from chaotic outsiders like slaadi or chaos beasts. Such instances are rare, and the fact that they happen at all highlights the nature of chaos itself. Sometimes a chaotic celestial (such as an eladrin) or chaotic fiend (such as a demon) spawns cansin descendants instead of, or in addition to, aasimar and tieflings. As children of randomness and entropy, cansin are most often descended from the inhabitants of Limbo, the plane of chaos. Cansin generally appear disheveled and disorganized. Their clothing is mismatched, their hair is mussed, and their caps perch at odd angles. Cansin typically have at least one, but possibly several, minor physical traits that reflect their origins. Due to the chaotic nature of the Cansin, there is no place where you may find more or less Cansins. Aura of randomness that causes strange things to happen in the cansin’s presence. This aura does not affect dice rolls in any way, but it can affect insignificant events like chance meetings, minor accidents, and strange but harmless occurrences. Naturally, most cansin are chaotic, but their very unpredictability makes neutral and even lawful cansin more common than good tieflings, evil aasimar, or chaotic axani. They are drawn to areas of chaos, but also enjoy to infest areas of order with their own chaos. Air genasi are descended from outsiders native to the Elemental Plane of Air and humans. Most air genasi come from bloodlines established over nine thousand years ago by the djinn who founded what is now Calimshan. 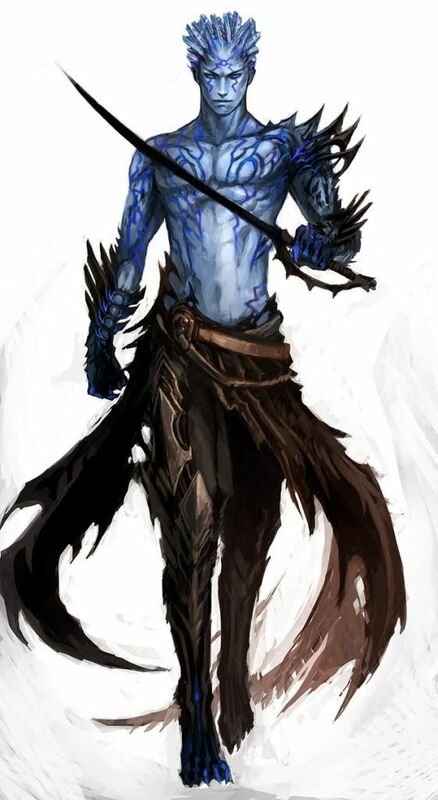 A few rare air genasi derive from djinn summoned in other parts of the world, and some are said to be born of a line founded by a powerful air mephit sorcerer who lived on the Great Glacier hundreds of years ago. The numbers descended from the servants of air deities such as Akadi, Auril, and Shaundakul are unknown, but likely to be very small. Legends tell of elves similar to air genasi, possibly descended from followers of the elven goddess Aerdrie Faenya, but it is likely that these legends are just confused reports of the avariels. Air genasi revel in their unusual nature, although few ever try to locate the being who founded their bloodline, since most are long dead or banished back the Elemental Plane of Air. Because the Calimshan djinn bloodlines are so old and have suffered many crossbreedings, it is almost impossible to tell by normal means if two air genasi are from the same bloodline. As a result, all air genasi treat each other as cousins. Earth genasi are patient, stubborn, and contemplative in their decision-making. Marked at birth with obvious traits reflecting their heritage, earth genasi are often shunned by others, but their physical gifts make them able to defend themselves against most attackers. Their strength and girth means that they sometimes become bullies, attracting sycophants out of fear and respect for their power. 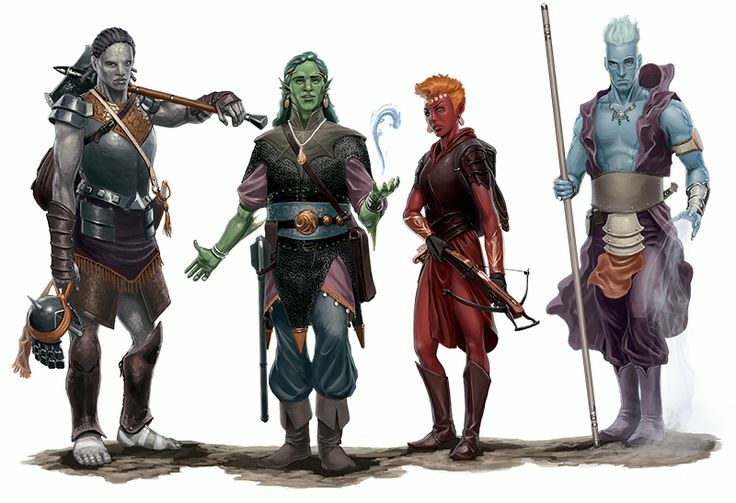 Earth genasi have the same life expectancy and age categories as a human. At least three-quarters of the earth genasi in Faerun are the descendants of outsiders native to the Elemental Plane of Earth and humans. The rest are descended from earth deities or servants thereof instead of elemental outsiders. Most of the elemental bloodlines originate in the North, particularly near the Spine of the World, as natural portals to the Elemental Plane of Earth form there, allowing meetings between natives of both planes. The bloodlines spring up wherever worship of earth deities is common. It is thought that the Ludwakazar clan of shield dwarves deep in the Earthspurs in Impiltur and the Tobarin family of rock gnomes in the Great Dale have elemental blood, but both are mute on the question and neither would be a true earth genasi, but something quite different. outsider heritage are rare and mark them as unlike anyone they might meet, each still feels a strong kinship to the earth itself. Earth genasi feel most comfortable when their feet are on the ground and prefer to go barefoot if appropriate for the weather and environment (earth genasi develop thick calluses easily and can even walk on gravel without discomfort). They are used to being treated differently, but have the strength to defend themselves if harassed. Earth genasi respect their earth elemental cousins for their strength but are usually indifferent to other earth elemental creatures. Earth genasi like to stake out a piece of land as their own and defend it, which makes them particularly valuable homesteaders in frontier regions like the Silver Marches. A few unusual ones come down with a strange form of wanderlust, wishing to plant their feet on every nation's soil before they die. Such a journey might take thirty years, but with methodical determination, certain genasi have become famous for their long-distance travels. Most adventuring earth genasi are combat-oriented, whether fighter, ranger or barbarian. They usually learn styles of combat that rely on their gifts, so an earth genasi armsman is either capable of incredible bloodshed or capable of enduring devastating attacks and remaining unshaken. 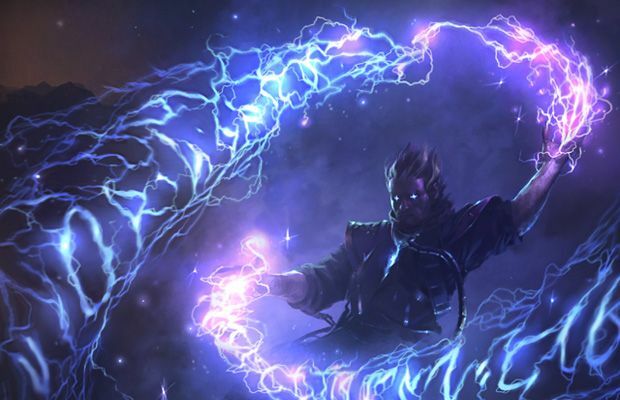 Earth genasi wizards are uncommon, but those who do embrace arcane magic often learn spells to enhance their fighting skills or become masters of earth magic. Fire genasi are usually thought of as hot-blooded and quick to anger, and they have earned that reputation. Mercurial, proud, and often fearless, they are not content to sit and watch the world pass them by. Fire genasi have obvious physical traits that mark them as different from humans, and they are often the target of mistrust and persecution. Some fire genasi are able to use their quick wits to turn the tables on their tormentors, while others find that their barbed words only make their foes more angry. 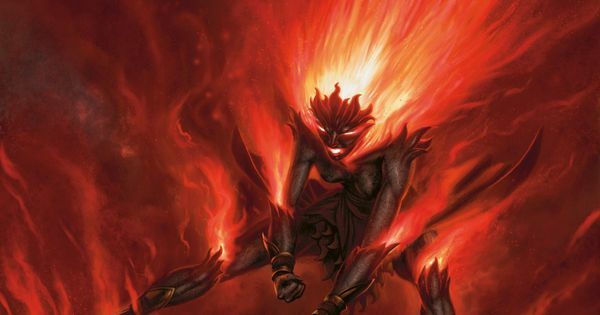 Many fire genasi are destroyed as infants by their own parents, who fear that they are demonspawn. 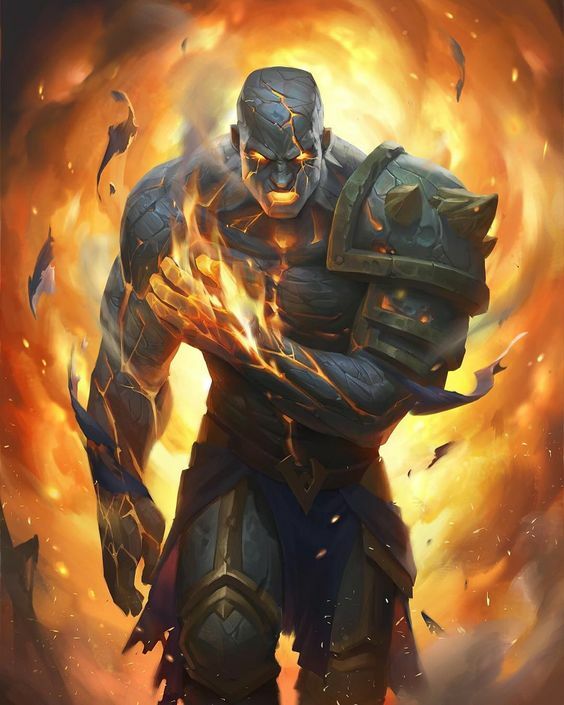 Fire genasi have the same life expectancy and age categories as a human. from their ancestral homeland to escape the fear and prejudice that Calishites bear for genies. Chult, the Lake of Steam, and Unther also have a small number of fire genasi, for those lands bear volcanoes that sometimes act as natural portals to the Elemental Plane of Fire, allowing efreet and other fiery outsiders to make contact with humans. A large family of fire genasi-like halflings was known to live in Unther, but the war with Mulhorand has displaced them and their current whereabouts are unknown. Most fire genasi in Faerun are the result of human-efreeti unions that occurred thousands of years ago in Calimshan. These efreet rulers took human lovers, and their half-elemental offspring served their outsider parent as guards, advisers, or diplomats, eventually having children of their own, which as often as not were fire genasi. The overthrow of the genies resulted in a great slaughter and scattering of all the planetouched in that land, and since that time those people carrying the bloodline of efreet have mixed with humans in other lands. Now fire genasi of these bloodlines might be of any human race, and many do not resemble the people of Calimshan at all. Fire genasi who originate in other lands have no common history, as their bloodlines are rare and disassociated occurrences. The fire genasi are a proud people, knowing that they are born of great genies. They prefer to dress elegantly and flamboyantly, reveling in their differences and advertising their superior taste and abilities. Fire genasi respect their pure elemental kin, and most treat efreet and other large fire outsiders with a great deal of courtesy and respect, both out of a sense of the creature's power and as a subtle gratitude for their own bloodline-granted talents. Because of their high opinions of themselves, fire genasi often elect themselves the leader and spokesperson of a group, even if they have no particular talents in those areas. Fire genasi are impatient and don't take well to pursuits that require a lot of time and study. They like to travel, if only to escape the presence of their enemies or people who frustrate them. Fire-genasi enjoy collecting treasure, preferring jewelry to bags of coins. Because the efreet-descended genasi of Calimshan have almost no chance of finding their original elemental ancestor (who have long since been slain, banished, or imprisoned when their empire was overthrown), they make no effort to do so and enjoy the gifts that ancestor's blood has granted them. Fire genasi enjoy the company of their own kind and have been known to form elite groups of mages or fighters that hire themselves out on the basis of their skill and heritage. They have been known to adopt the fire genasi children of human parents as well. Fire genasi make smart fighters, but many follow the barbarian's path instead, because it is easier and espouses the heat of bloodlust. More fire genasi become sorcerers than wizards, even though their natural talents would indicate otherwise. Fire genasi would much rather talk about themselves than other people, and that and their own short tempers make them poor bards. The rare fire genasi who feels the call of the paladin is often the hotheaded, take-no-prisoners sort who risks losing control. Water genasi are patient and independent, used to solving problems on their own and not afraid to take a lot of time doing so. At times they are fierce and destructive like terrible storms, but more often than not they present a tranquil appearance, despite whatever emotions run underneath that quiet surface. Because their elemental forebear usually has no interest in them, water genasi are often abandoned by their human parents and raised instead by aquatic creatures such as aquatic elves, dolphins, locathah, merfolk, sahuagin, or even aboleths. Water genasi usually leave their parents (real or adoptive) upon reaching maturity, taking to the open sea in order to explore, learn, and develop their own personality and place in the world. Most water genasi are descended from a water elemental outsider such as a marid (water genie) or triton. 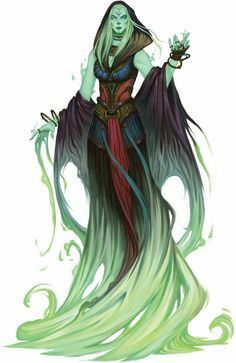 A rare few are born of outsider servants of the evil water Goddess Umberlee (although it is not known why these matings eventually produce water genasi instead of tieflings). Aquatic elves tell of a lost line of sea-elf planetouched descended from minions of Deep Sashelas, but these are not true water genasi, lacking a genasi's human heritage. Water genasi have the same life expectancy and age categories as a human. Water genasi have no society of their own, but often subconsciously adopt traits of the people who raised them, so a water genasi raised by aquatic elves is likely to believe in personal freedoms and good behavior, while one raised by sahuagin will be bloodthirsty and militaristic. Water genasi from different cultures can be as radically different as a quiet spring and a raging waterfall. Water genasi do not prefer the company of other water genasi. If anything, it makes them feel less special and unique in the context of the other beings they live near. Accordingly, they rarely live in the same communities and none have been known to marry. This keeps the population of repeat-generation water genasi low, with new genasi coming from new bloodlines or from lines that skipped a generation. Their self-contained nature makes water genasi unlikely leaders. A water genasi is more likely to guard or support a person he respects and admires than to be a person who attracts or welcomes subordinates. Water genasi take pride in their special abilities and can be boastful if in the right mood. Tougher than humans and able to breathe water, these genasi sometimes view human sailors and naval merchants as vulnerable fools who are as likely to drown at sea as they are to get seasick. The people of the Sea of Fallen Stars are familiar enough with the stories of water genasi to recognize them and ignore their rude behavior. Water genasi have the best of both worlds. They can walk on land for an indefinite time (unlike aquatic elves, whom they secretly pity) and can always retreat to the tranquil depths of the ocean. Often loners, they sometimes establish a home in a remote underwater cave, going for years without encountering another intelligent being. They feel a kinship to other aquatic creatures, particularly tritons and water elementals, who can easily outswim the genasi. They tend to be neutral and therefore avoid extremes in politics, opinion, or career. Some find a quiet spot to call home, others enjoy riding the currents for months, allowing the water to take them places hundreds of miles away. The ooze genasi where known to have a disgusting outward appearance and also known for their repulsive personalities. They where heavyset and durable with drooping bodies and yellowish skin. They usually wore darker earth tone colors. Many had tells of their heritage, such as very bendable limbs or slimy skin. They usually reeked and most people would probably have called them utterly repulsive. As a general rule, they had a hard time being "charismatic" with their lack in personal skills and stench, but on the other hand they were very sturdy and healthy. Their ancestry also gave the protection from acid and as they grew in ability so did their ability to resist acid. They also had the ability to use the grease spell. Descended from lawful outsiders, be they heavenly, infernal, or something else, the Axani are a lawful subrace (though extremely rare exceptions exist.) They prize logic and possess a seemingly cold and calculating attitude toward life. They tend to possess symmetrical features and wear simple, yet elegant clothing. They favor structured, orderly life styles, with the Monk Class as a prize pursuit, though they can also be found in soldiering careers quite often. They tend to pursue axiomatic goals and strive toward a similar life style. An adventuring Axani might be seeking to fulfill a promise it made, even in jest or in the spur of the moment, seeking to honor their word. They also might be on a quest given to them by a monastary/paladin order, or seeking to fulfill a secular military objective for their king/realm. Delighting in cruel pranks and tricks, their adventurous spirit for mischief and malice often sees these Halflings exiled from their communities. Descended from infernal or abyssal lineages, their inherent charisma and wicked cunning make them exceptional adventurers, for all the wrong reasons. Descended from dwarven stock and unholy bloodlines, the Maelith is often an almost hairless dwarf radiating a charisma and grace that many of his kind lack. Few physical traits determine a maelith, ranging from black opal eyes, fiery red hair, or the stink of brimstone. They often seek political position and power in dwarven society, and as long as they conform to dwarven traditions, do not quite face the same exile and social stigma as other tiefling-touched races. They often worship Vergadain and Abbathor, or seek kinship to their infernal fathers by joining such cults in secret. Underwater Breathing (since they don't breath, and therefore, cannot drown). Morbid, sarcastic, and possessing a fascination with death and decay, they are usually unpleasant to be around. Their constant ill-health and traits that make them look ill when they are not might inspire their fascination with the end of things. Despite this, Dust Genasi make excellent adventurers with nimble fingers and body, their ability to survive in environments where air is absent, and the fact that an inherent cunning common to all of them allows quick problem solving presents them as an asset to any adventuring party (if they can tolerate their ill-health and sarcastic commentary) who is in need of a unique set of skills when venturing into territory that is at best unfriendly. Proud, egotistical to a fault, and domineering, these proud genasi assert themselves at every opportunity and try to be the star of every show, and it tends to express itself in a truly irritating and crude manner. Their lack of social grace belies their actual grace, flowing like steam from battlefield to battlefield. They often adventure to prove themselves better than everyone else- or to attain what they believe to be a birthright that makes them better than everyone else. Proud, often above their means, the Steam Genasi tries to lead- even when he really shouldn't lead. 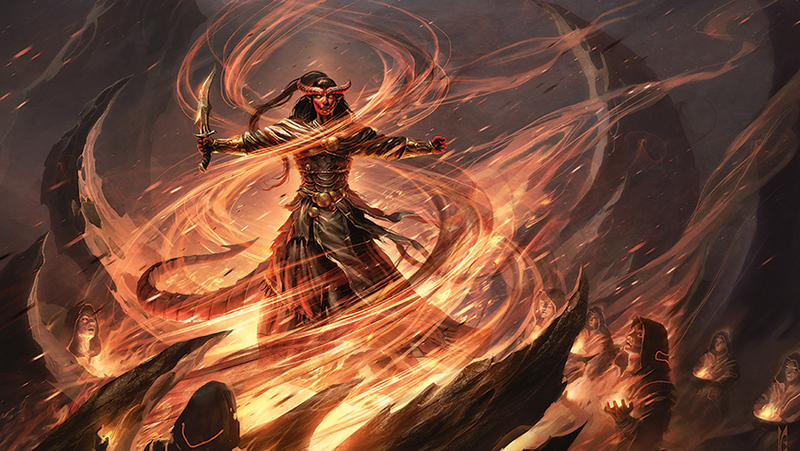 Ponderous but powerful, magma para-genasi combine many of the traits of their earthen and fiery ancestors. Like all para- genasi, they tend toward neutrality. Those of Human descent usually short and stocky, sometimes to the point of resembling tall dwarves. They usually have dark skin, and they typically possess traits that mark them as unusual, They might have a reddish glow to their skin or eyes, feel unusually hot to the touch, or have hair that ripples like fire. They tend toward simple, utilitarian clothes, which often seem disturbingly close to smoldering. Ice para-genasi are cold, emotionless beings. Like most genasi, they tend toward neutrality. They appear human, but their features are often sharper and more chiseled than normal, and their skin is paler than the norm for their race. In addition, they have one or two minor supernatural traits that hint at their heritage, such as breath that frosts in even the hottest weather or frost-caked hair. They prefer loose, light clothing in whites and pale blues, even in cool climates. Smoke para-genasi seem crude and lazy. They tend toward neutrality, like all genasi and most elementals. Smoke para-genasi are tall and lanky, reflecting their heritage of air and fire. They tend to have dark skin and hair, and like other genasi have one or two unusual traits, such as hair that billows like clouds of smoke or the faint whiff of something burning clinging to them. They prefer loose clothing in dark colors and heavy fabrics.